An Adults Friar Tuck Costume including a Robe, a Rope Belt, and a Wig– Ideal for a Medieval theme, or any fancy dress occasion! Transform yourself with this Adults Friar Tuck Costume. This outstanding Adults Friar Tuck Costume includes a Robe, a Rope Belt, and a Wig. This long sleeve brown Robe features an attached capelet over the shoulders, and also features a detachable rope Belt. 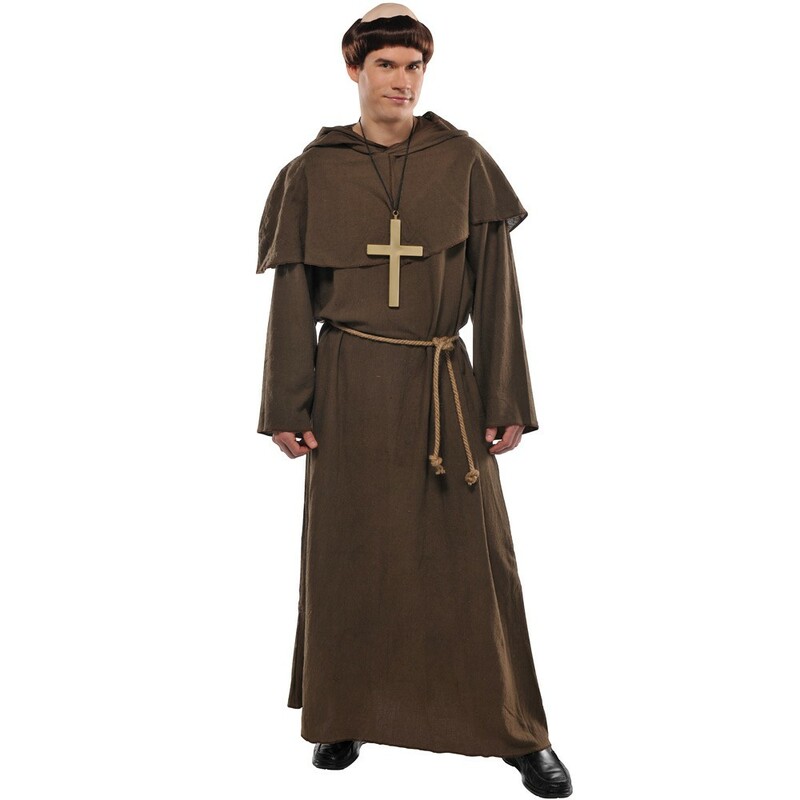 This Adults Friar Tuck Costume also includes a Monk Wig, which features a bald effect top and a bowl cut design, to complete this fantastic look! Perfect for a Medieval theme, a Fairy Tale theme, Book Week, a Religious theme, or any fancy dress occasion, this Adults Friar Tuck Costume will be sure to stand out from the crowds! So get into the party spirit no matter what the occasion with this brilliant Adults Friar Tuck Costume! An Adults Friar Tuck Costume.